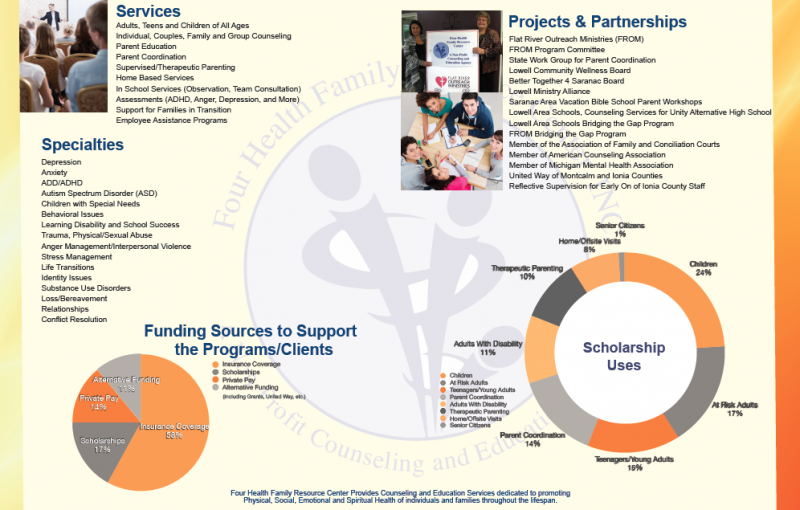 Four Health Family Resource Center, Inc. wants to share with you what we've done in the past year! We have expanded not only to a new location but also with the type of programs we offer. We are always looking for new ways to connect with the community and want to thank and appreciate all of those who have volunterred or donated in any form. Donations and volunteers are what keeps us running! If you are interested in donating or volunterring, call us at (616) 642-6466 or e-mail Monica at monica@fhfrc.com! 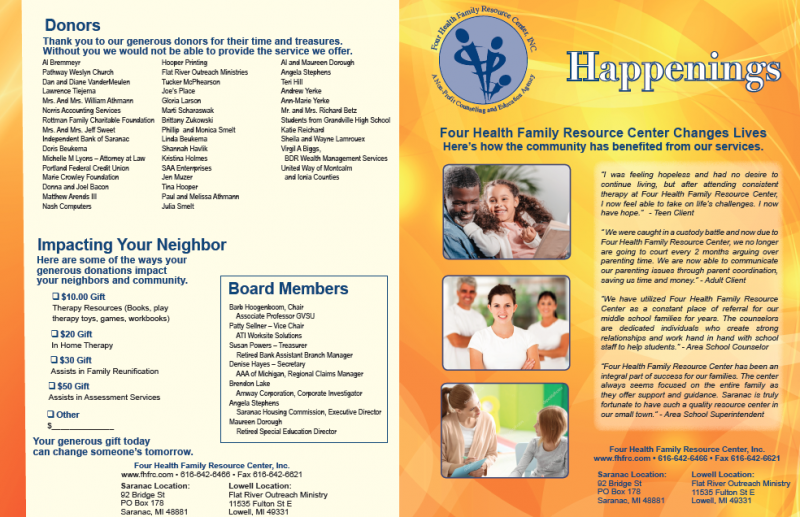 If you would like Four Health Family Resource Center Inc. at your next event or are interested in one of our talented therapists presenting at your organization, e-mail Jenifer at jenifer@fhfrc.com!